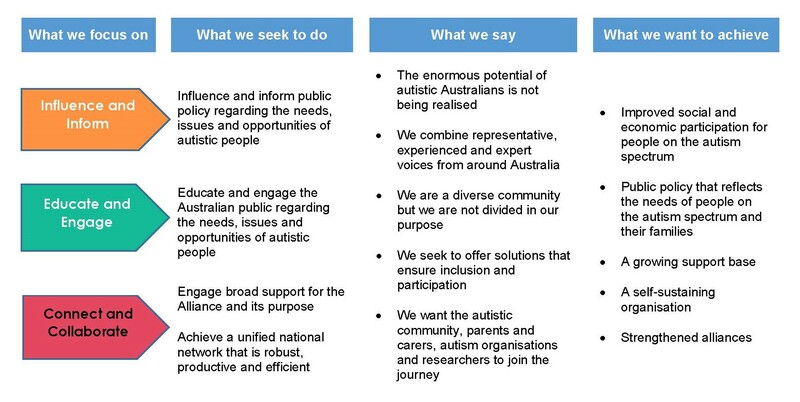 The Australian Autism Alliance strives to influence and inform, educate and engage, connect and collaborate. These key themes form the basis of all or activities. Register Your Interest to Support the Australian Autism Alliance and Enhance the Lives of Autistic People.